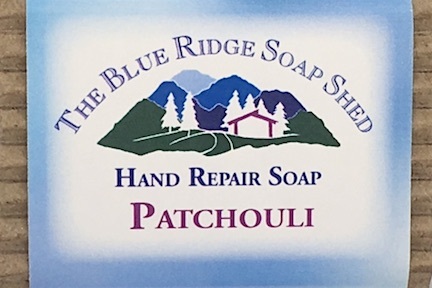 Enjoy our pure Patchouli Soaps, like Patchouli Goat Milk and Patchouli Shea Butter, or our Patchouli Soap gift sets with our many Patchouli Soap blends like Patchouli Lavender, Patchouli Orange, Patchouli Spearmint, Patchouli Cherry or Patchouli Rose Goat Milk soaps. Patchouli can grow 2 to 3 feet in height. The leaves of the Patchouli herb give off the characteristic Patchouli scent when rubbed. Patchouli does bloom, with white colored flowers tinged with purple. If Patchouli is being grown for the purpose of making Patchouli Soap, it can be cut 2 to 3 times a year, providing 2 to 3 crops that can be dried for later use. If Patchouli is going to be distilled for its oil and used in soap, it is best to use oil grown in Patchouli plantations of Indonesia and India. Neither American nor European grown Patchouli is known as having a great scent. Patchouli is native to tropical Asia and is grown in India, Indonesia, Malaysia, the Philippines, Singapore, Burma, India, and countries in South America. Patchouli essential oil is a noticeably thick oil, very viscous, with amber-brown tones to its color, which explains why Patchouli Soap is often some shade of brown. It contains coerulein, a bright blue compound found in matricaria, wormwood and other oils. Patchouli fragrance is thought to improve or mellow with age, and Patchouli Soap will do the same thing. Patchouli has long been believed to have a relaxing effect, and using patchouli soap in the tub or shower can certainly achieve that goal. It is said that in high doses Patchouli can act as a stimulant, while used in lower doses it can act as an Antidepressant or sedative. You can also use Patchouli to sharpen your focus and improve your concentration. Some believe use of patchouli can provide insight, explaining the use of patchouli in soap, incense and oils for many centuries. Medicinally, Patchouli is considered to be Anti-inflammatory, Antiseptic, and Astringent. Its value as a diuretic has also been reported in PMS studies, and other research indicates in may help in weight loss by curbing appetite and increasing urination. The value of Patchouli in reducing hot flashes during menopause is being explored. The Chinese, Japanese and Arabs believe it to possess prophylactic properties. Patchouli and natural patchouli soap has also been positively linked to improvement of several skin disorders, from reducing chapped, cracked skin and scar tissue to reducing irritation caused by eczema. It has been used to treat athlete's foot and jock itch, and skin allergies. In India, patchouli oil is reputed to be an antidote for snake and insect bites. Patchouli soap can help to regulate oily skin and dry scalp disorders such as dandruff and seborrhea. It is often found in natural commercial deodorants because it is helpful in controlling perspiration. Patchouli Soap is often considered to have anti-deodorizing properties. Patchouli, Orange and Rose together in a relaxing, uplifting goat milk soap.